No prior metals experience necessary. 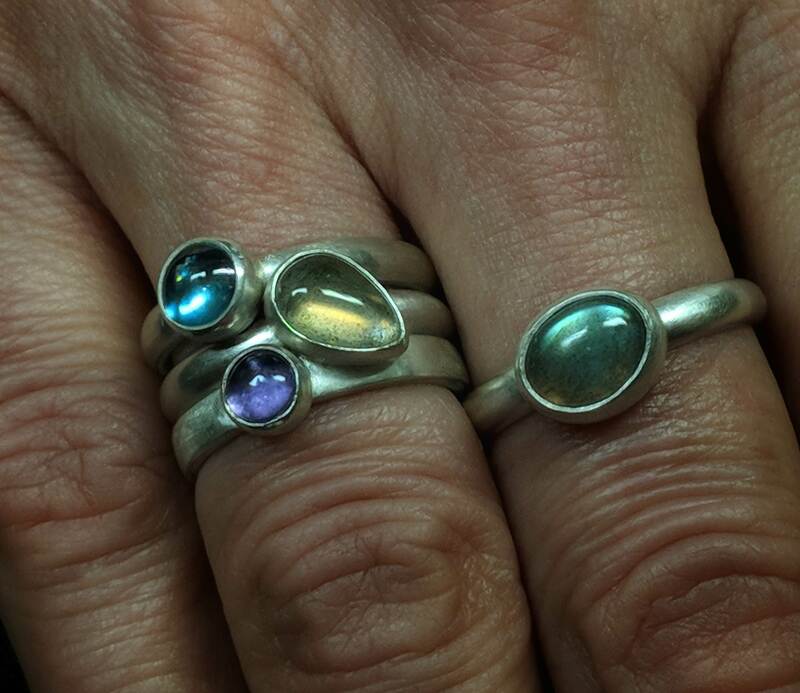 We will start with silver stacking rings, move to earrings, and end up who knows where? You decide. Youâ€™ll leave with a number of pieces of beautiful jewelry to wear or give away, and a solid understanding of basic jewelry making techniques like sizing, forming, forging and soldering. METALS 101: SCULPTURE; FROM "INORGANIC" TO "ORGANIC"
No previous metals experience necessary. While making a flowering branch from copper sheet and wire you will learn the basics of transforming flat metal and wire into complex 3-dimensional forms. The basic metalsmithing processes of â€œformingâ€, â€œsolderingâ€ and â€œfinishingâ€ will all be covered.